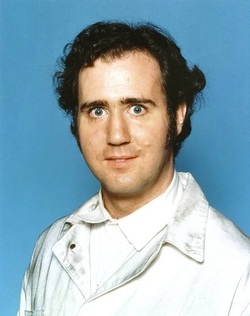 Andy Kaufman is best known for his role in Latka in the comedy series Taxi. Kaufman's brother has claimed that Andy's death from lung cancer in 1984 was a hoax and that the actor wanted to leave showbiz and lead a quiet life. His death certificate can be viewed online.